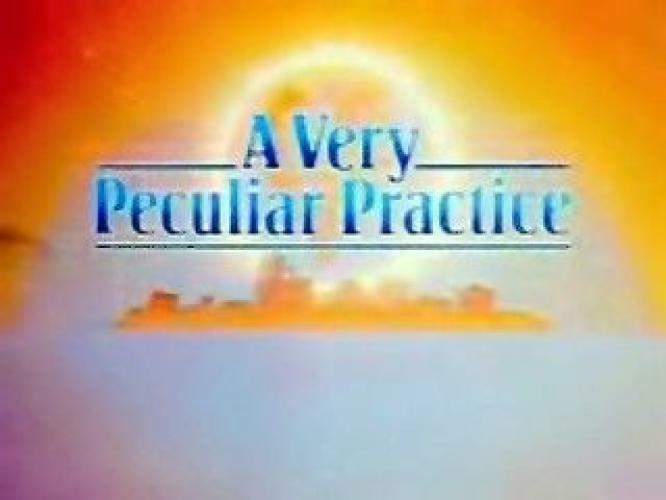 When will be A Very Peculiar Practice next episode air date? Is A Very Peculiar Practice renewed or cancelled? Where to countdown A Very Peculiar Practice air dates? Is A Very Peculiar Practice worth watching? A Very Peculiar Practice is a BBC comedy-drama series, which ran for two series in 1986 and 1988. It was written by Andrew Davies, and was inspired by his experiences as a lecturer at the University of Warwick.The series is a black comedy with surreal elements. It concerned an idealistic young doctor, Stephen Daker (Peter Davison), taking up a post as a member of a university medical centre. The centre is staffed by a group of misfits including the bisexual Rose Marie (Barbara Flynn), self-absorbed Bob Buzzard (David Troughton), and decrepit Scot, Jock McCannon (Graham Crowden) who heads the team in the first series. Jack Daniels suddenly starts to hail the traditional family values - something that raises Stephen's and George's suspicions. Professor George Bunn still has to face an ongoing conspiracy, but then suddenly he gets unexpected help. Jack Daniels has to face the revolts on campus, when he makes a tragic decision affecting everyone. Stephen Dakers has left the university in England and tries himself as a hard working doctor in the city of Warsaw, Poland. A Very Peculiar Practice next episode air date provides TVMaze for you. EpisoDate.com is your TV show guide to Countdown A Very Peculiar Practice Episode Air Dates and to stay in touch with A Very Peculiar Practice next episode Air Date and your others favorite TV Shows. Add the shows you like to a "Watchlist" and let the site take it from there.